The Buckingham Warrior is a defender of strong ideals and a stark reminder to the fragility of our own ecology. He is a deer who lives in symbiosis with the natural world and when forced to defend the natural order, the Buckingham Warrior can not be defeated. The Wolyner Forest Warrior is the first incarnation of Buckingham, a righteous deer. 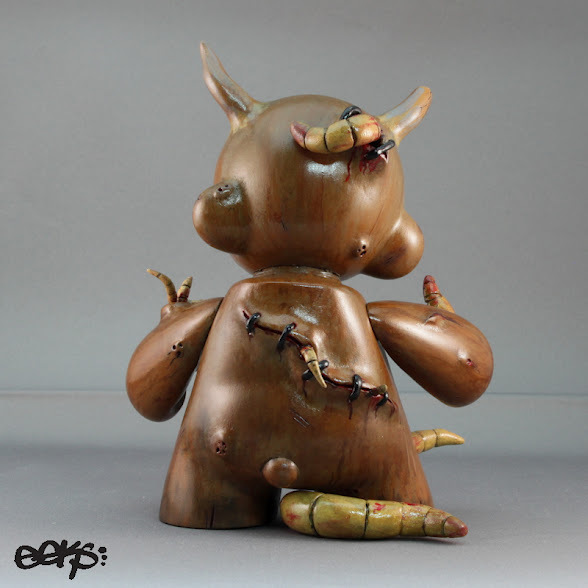 The 12" figure was inspired by Gary Baseman's father, a Holocaust Survivor. Packaged in a closed satin finished box, this figure features multiple points of articulation and comes with severed head and sword accessories. The price is $115 each and we'll have preorders up next week in our Baseman section. Artist and designer Camilla d’Errico is exploding across the pop-culture landscape. 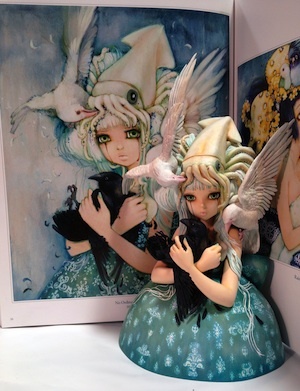 Her paintings, comics, apparel, toys, and licensed merchandise items are found in trendsetting venues worldwide, and her unique art style sets these items apart from the crowd. Dark Horse Deluxe, a division of Dark Horse Comics, announces the latest step forward for d’Errico, a limited-edition sculptural bust inspired by her painting No Ordinary Love. Slated for a late June release, the meticulously painted sculpture measures approximately 8 inches tall and 5 inches in width, making it a diminutive but exquisite jewel of a statuette. It is strictly limited to only 950 hand-numbered copies for worldwide distribution. It is packaged in a full-color collector box, with a certificate of authenticity inserted to certify it for collectors. Will post more info soon about pricing and preorders. Just saw this for the first time at Toy Fair a few weeks ago and ordered immediately. A must-have item for any true Domo fan- these are the 3 characters from the NHK channel in Japan. Based on the characters from Domo TV shorts on Japan’s NHK network, this 3-piece PVC figure set features Domo and his friends Mr. Usaji the wise old rabbit, and Tashanna, the young lady weasel. Domo stands at 4" tall while his friends stand at 3.5". Packaged in a deluxe full color window box. This boxed set will be $17.99 each and will arrive soon! This sweet Tiger Dunny commission by Justin JFury Phillips was executed at the request of Krash, a boardie on the KR forums. 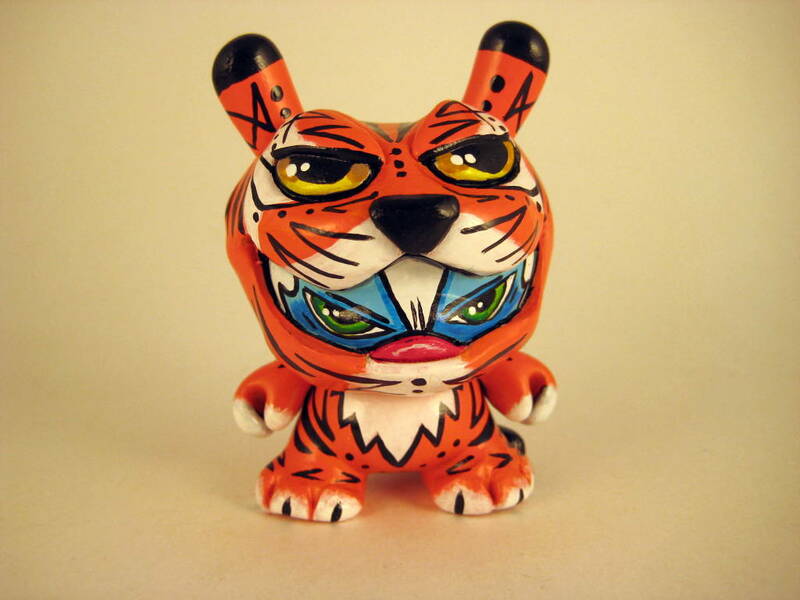 Krash has a ton of cool Tiger customs by different artists. And now one more! Excellent work! This commission inspired JFury to pursue this tye of customs a bit more. Stay tuned! Don P is pumping out customs left and right! 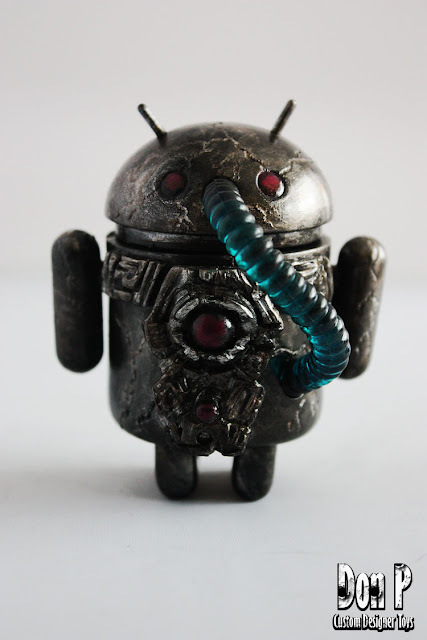 With this sweet 3" Android figure, Don P is playing with the cracked metal look more, sculpting the front and adding some battle damage. JC Rivera has an amazing eye for composition. His delicate custom paint work on the David Choe Munko figure above is exquisite- just enough detail to create a fully-realized piece of art, yet minimal enough to work perfectly within the simple form of the Munko figure. 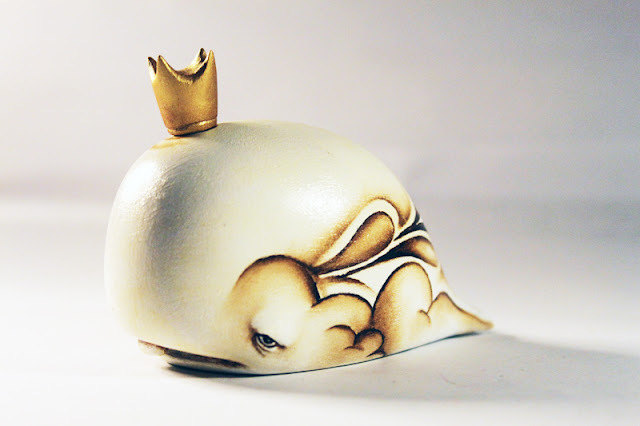 This piece is about 3 inches tall, and it doesn't come witha crown- that's JC's addition in resin. I suppose the crown is sort of his signature- he incorporates a crown into many of his pieces. 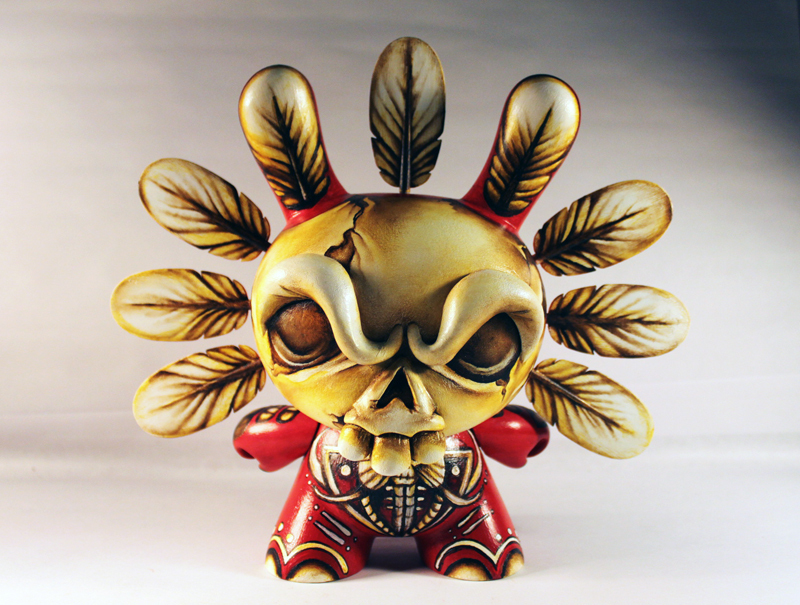 At the same time, there's noting subtle about the other piece JC emailed to us: this wild custom 8" Calavera Dunny has also been blessed by JC's sculpting and painting. This one was based on a 3" Calavera Dunny JC did last month- it came out so nice that a customer commissioned him to do an 8" version, so regrettably, it's already sold. 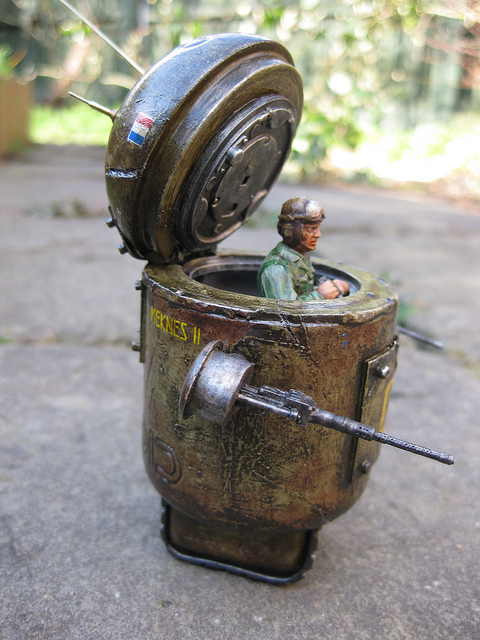 In typical Benny fashion, I did not make this blog post fast enough to give you a crack at buying the Munko- it's sold as well. 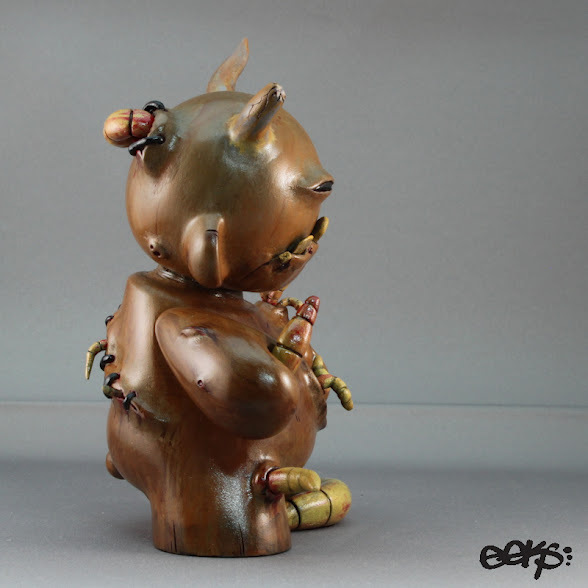 We still have some of JC's Riker's Island series left in stock- a 3" Dunny series he made for our shop. and 4 1, originally uploaded by Jim1297. Check out more pics of this awesome Android custom, and many other customs, on Jim's Flickr page. Usually the time I set aside for blogging is while I drink my coffee in the morning, just before I eat breakfast and get on with my day. My brain works best in the morning, and the blog posts are up for people to see them as they start their day. In this case, I'm not so sure my timing is all that great, as I just woke up and I am now staring at eeKs' custom featuring maggot-filled open wounds. BLARRRRGH! Guess I will skip eating eggs for breakfast. 6" of pure grub worm filled, grotesque, ill tempered vinyl makes up Grubby. Between scars & the worms, Grubby stays busy being the dirtiest & most vile curmudgeon one could lay eyes on. Check him out in eeKs shop today! 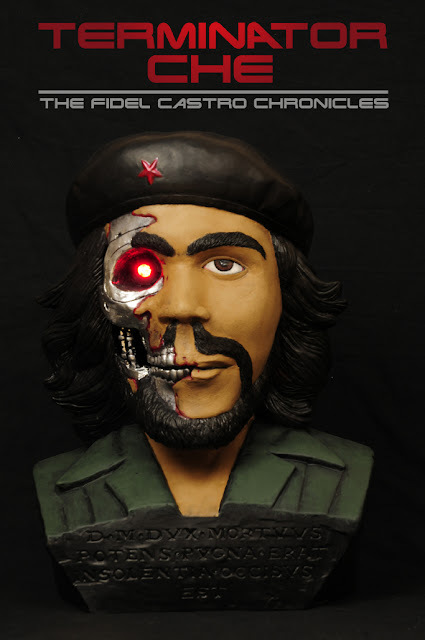 www.eeksart.storenvy.com in the Custom Toy section. I've been studying and working with art now for nearly 2 decades, and one concept that is evident throughout the art world is that art is supposed to elicit a reaction from the viewer. That reaction does not always have to be positive (love, calm, happiness, warmth) for the piece to be successful. Indeed, The Garden of Earthly Delights by Hieronymus Bosch is a sick, messed-up piece that couldn't possibly make the viewer feel anything good. Yet, I love that painting- it's one of my favorites. It's sick, and it makes you feel sick, and that's awesome. Sorta like eeKs' Grubby. I really am a bit disgusted by that open wound, and that means the piece is successful. Bravo! After the immediate sell-out of DAVEMARKART's Corporate Monsters Series 1, Dave set right to work creating Series 2 for Tenacious Toys. Here they are, from left to right: the Corporate Death Dealer, the Corporate Bloodsucker, and Two-Faced. 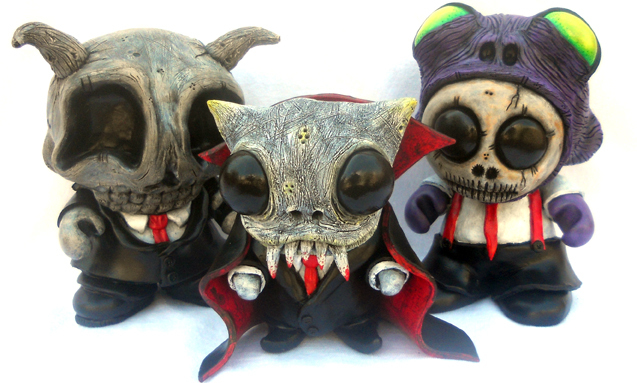 Corporate Monsters Series 2 is now for sale in our DAVEMARKART section! 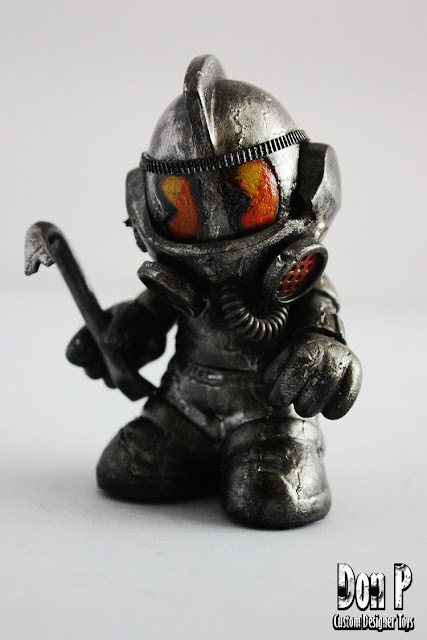 Dave outdid himself this time, with complex sculpts and even more detail... This is Dave's first crack at using Mini Munnys as a platform, and they came out great! Shawn Wigs shares with is his sweet new MATRIX series, which includes ten 3" Dunnys, an 8" Dunny and two 4" Mini Munnys. I'm a little slow on this post so some of them are sold already, but you should click here to go to Shawn's store to see all of them. 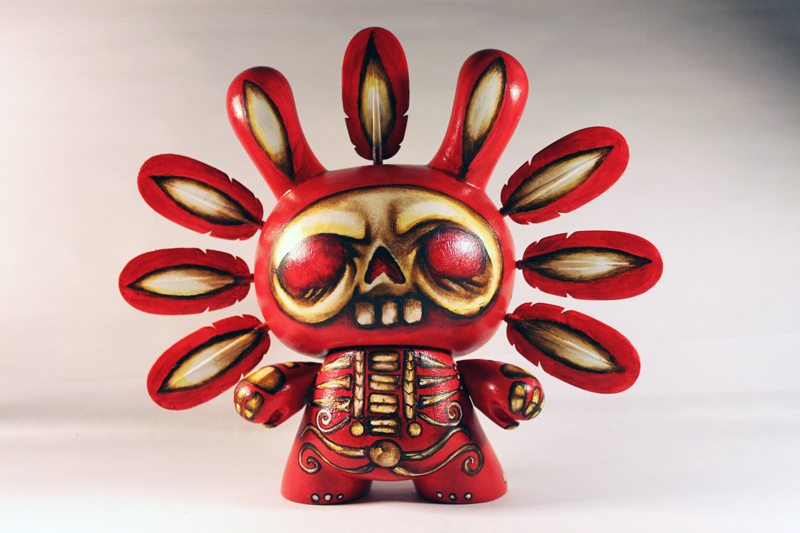 First week in March I have a brand new series of 110 custom 3" Dunnys & one Custom 8" Dunny. Shawn Wigs, Anthony Devito, Nervis Wrek, James Fuller, Mike Die, JC Rivera & BALD (Bryan Lopez). 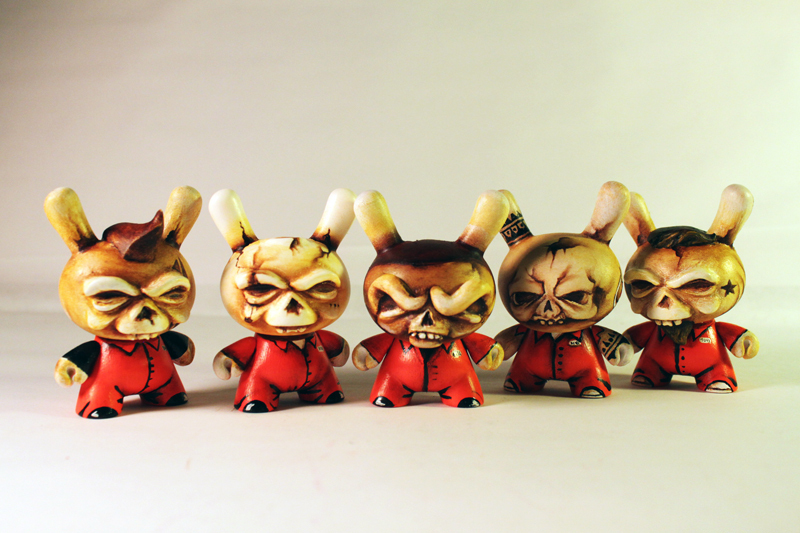 Plus there will be 5 custom Dunnys designed & signed by Ghostface Killah from The WU-Tang Clan. The release date is set for March 2nd at 3:00 pm Eastern Time. 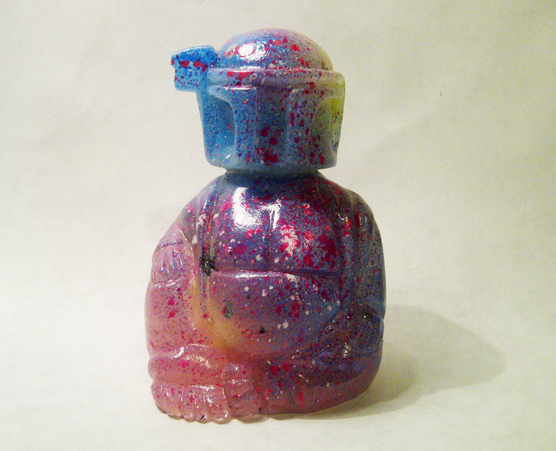 We now have a wide selection of Scott Kinnebrew's 4-inch resin Buddha Fett figures in stock, each in a unique, one-off colorway. The one pictured above is the Rainbow colorway, but there are also such gems as Peppered Mango, Rotten Citrus, and my personal favorite: Unicorn Vomit. At only $20 each, these are selling fast. Click here to see which ones we have left! From the twisted mind and capable hands of artist TaskOne comes Terminator Che! 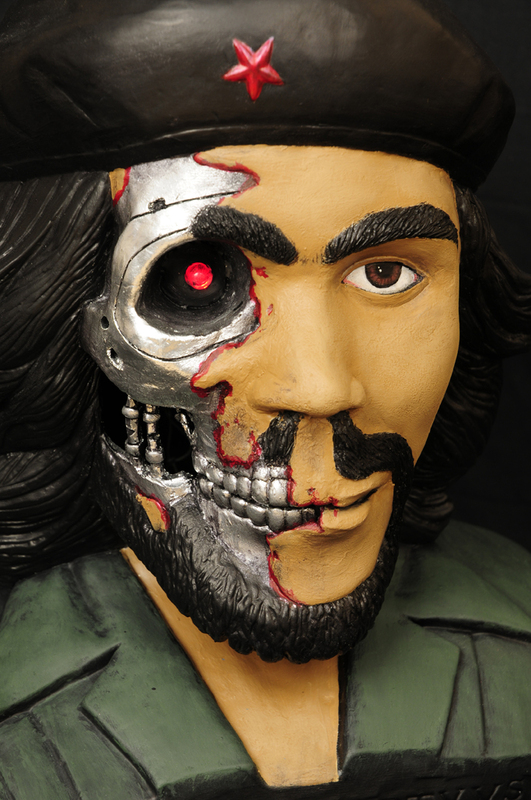 The original Dead Che bust was designed by Frank Kozik and sculpted by Brin Berliner. This custom piece has been "reinterpreted" by Task, with photography seen here by Brad Topolewski. Pretty damn evil.